The post Chakachas – 1972 – Chakachas appeared first on Funk My Soul. The coolest, funkiest, and most soulful set ever issued by Chakachas – a record that’s way different than most of their Latin-based music – with a strong American funk vibe all the way through! There’s still lots of percussion in the mix, but it’s often used in ways that echo more of a pan-global and African approach – plenty of congas at the bottom, next to some riffing guitars, sweet reed lines, and some occasional strong soulful vocals. The cut “Jungle Fever” isn’t on here, but the whole album definitely feels like that one – with that killer sense of spacing and percussion that makes the group really funky on that hit. It includes the killer “Stories“, plus “Oye Mi“, “Bantu“, “Love Love Love“, “Oye Mi Guaguaco“, “Soledad” and “By The Way“. The Chakachas were a Belgian based group of Latin soul studio musicians. Also known as Les Chakachas or Los Chakachas, they were formed by bandleader Gaston Bogaert, ex-Los Juano Boengs and The Continentals, percussion (conga and tumba); Kari Kenton, vocals and maracas; Vic Ingeveldt (a Dutchman from Liege), saxophone; Charlie Lots, trumpet; Christian Marc, piano; Henri Breyre, guitar and backing vocals; and Bill Raymond, bass guitar. All were native to Schaarbeek (a district of Brussels), or nearby Charleroi, Willebroek and Liege. They started out in the late 1950s, and had a Belgian #1 in 1958 with “Eso es el amor”, which was sung in Spanish. In 1959 they recorded “Rebecca” (a.k.a. “Rebekka”), which was featured seven years later in the film The Battle of Algiers. In 1962, they crept into the UK Singles Chart for the first time with “Twist Twist“, which reached #48. Although they issued numerous recordings, they are best remembered as a one-hit wonder for their hit disco single “Jungle Fever” from 1971, which sold over one million copies in the United States, and was awarded a gold disc by the R.I.A.A. in March 1972. It also reached #8 in the US Billboard Hot 100. In the UK it fared less well: despite some airplay soon after release it was later pulled from airplay by the BBC, which took exception to the song’s moaning and heavy breathing. It peaked at #29. The song was featured in the movie Boogie Nights. It was sampled on the song “Put Her in the Buck” on the As Nasty as They Wanna Be album by 2 Live Crew, “Rock Freak” on Natural Ingredients by Luscious Jackson, Ambassador‘s “Honor and Glory”, Antoinette‘s “I Got an Attitude”, Beatnuts‘ “Story 2000”, CEO‘s “Hit Me with the Beat”, Public Enemy‘s “Cold Lampin’ with Flavor”; and featured on the Grand Theft Auto: San Andreas soundtrack, being played on fictional radio station Master Sounds 98.3. More recently, Louie Vega used the track as the basis for a remix incorporating new vocals by American poet Ursula Rucker on “The Elements of Life” (2004). This same titled album is a much sought-after album amongst the connoisseurs. 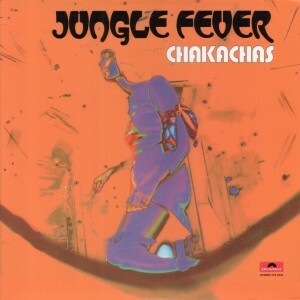 The Chakachas song “Yo Soy Cubano” from their album, Jungle Fever, was sampled in the Mighty Dub Katz‘ song “Magic Carpet Ride” (“Son of Wilmot Mix”) in 1995. More recently, the ‘ah-ring-ting-ting’ vocal was sampled as the hook in the 2012 Kendrick Lamar song “Backseat Freestyle”. The song Stories was recently featured on the Grand Theft Auto V‘s PS4 and Xbox One versions soundtrack. This song was also covered by the band CAKE, renamed as “Thrills” in their album, B-Sides and Rarities. The Chakachas also recorded under the name Los Chicles.